The boss of a charity lottery has been jailed for pocketing thousands of pounds and taking his family on the dream holiday which was supposed to be the grand prize. Millionaire Leigh Windsor, aged 46, stole $550,000 from two air ambulance charities and picked phantom winners from the phone book after rigging the draws. He skimmed off the first three months of payments from thousands of customers who joined up because they believed they were supporting charity. Windsor took his family on a $14,000 holiday to Barbados and ran a Hummer and a top of the range Mercedes with the money he made from the lotteries. He bought two homes in Florida and took regular trips there with his family as he scamed two air ambulance charities out of thousands of dollars each week. He lived a luxury lifestyle with a large home in the British countryside from which he, his wife and his two children made regular trips to watch the British football [American soccer] team Arsenal, where they all had season tickets. He even set up his own bank account to launder the stolen cash and called it Flight for Life. Windsor was only caught when he started entering bogus tickets in one draw in a scheme to boost his commission and make more money. One of the forged tickets was drawn, and he picked a name out of the phone book which he claimed to be the winner. His company ran ten air ambulance lotteries which raised millions over a decade before his swindle was uncovered. Most of the money was handed over legitimately to the charities, although they were only guaranteed one-fifth of all the cash wagered. By law, Windsor's company was allowed to take up to 35 percent of turnover. 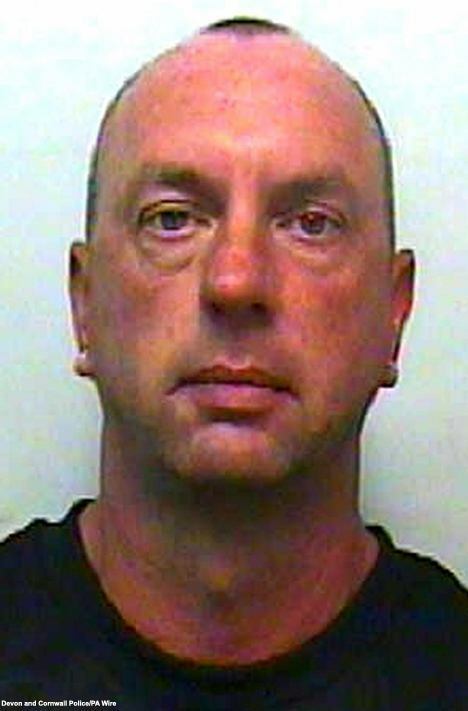 Windsor, of Kerns Park, Quethiock, near Liskeard, admitted thefts from the Dorset and Somerset and Wales Air Ambulances and was jailed for three years at Plymouth Crown Court. He asked for two offences to be considered including selling his estranged wife's Arsenal debenture for $9,000 cash by forging her signature while awaiting trial. But Judge Francis Gilbert, QC, said Windsor had been a forceful and intimidating boss who bullied staff into taking part in the scams. He told Windsor, "It may be you raised large amounts of money for charities but that simply makes your conduct more reprehensible. "It demonstrates there was no need for such dishonesty, which was clearly the product of greed. "These are very serious offences and a breach of trust placed in you by two air ambulance trusts and the theft of large sums of money paid by members of the public for their benefit. "I cannot speculate on what effect it will have on future giving but I only hope the public will continue to support these good causes." Prosecutor James Townsend said Windsor ran lotteries all around the country and stole money from those based in Dorset and Wales by three different means. The lotteries had subscribers who paid by direct debit to enter $2.00 a week for weekly draw. He was supposed to pay canvassers out of his own commission for finding new customers but instead he took the money by keeping the first 13 weeks stakes. His Plymouth based firm was paid commission on a sliding scale by the Dorset and Somerset charity and he bought extra tickets to ensure he got paid 25 rather than 20 percent. He was investigated after one of these one and he picked the name of a woman in Somerton, Somerset, out of the phone book and declared her the winner. The final fiddle involved prizes of dream holidays run by a travel agent in Cornwall. The holidays cost $14,000 less than the money allocated and he used the rest to take his own family away. "He systematically fiddled the accounts and records in order to pocket large sums of money to retain in his business and therefore for himself," Townsend said. "When police went to his house they found $140,000 in notes and a quantity of U.S. dollars. "It was plain he enjoyed a good lifestyle with properties in America and two relatively expensive cars." Raymond Tully, defending, said Windsor had raised millions for charities, helped set up air ambulances across Britain, and contributed to saving lives. He said Windsor plans to repay all the money he stole and the two charities will not be out of pocket. Robert Edwards, 56, from Torpoint, Cornwall, who managed lotteries for Windsor, admitted false accounting and was jailed for 12 months, suspended for two years.